When Stephanie needed some help completing her currentblog challenge, I volunteered as this would give me an ideal opportunity to do a daily challenge, without committing to 30 or 31 days. Today’s challenge is Typography, which I instantly leapt on as I did Typography and Graphic Communication in my first year at University. 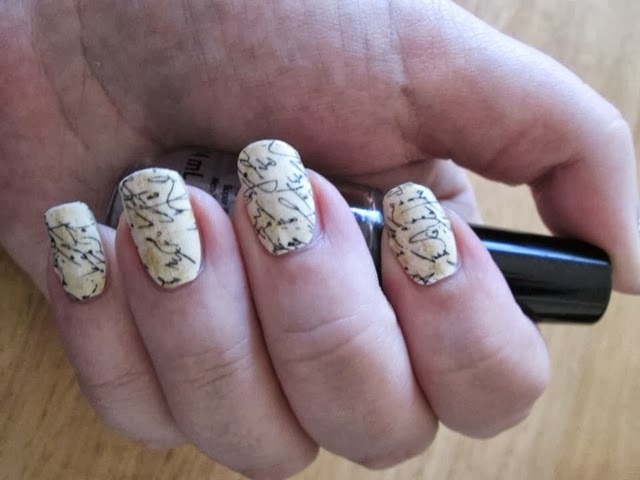 I could imagine sketching out a font on my nails, or imitating letterpress, or using newspaper to transfer print on to my nails. I had loads of ideas. However, I have a confession: I am the world’s worst at nail art. I have great designs in my head that just do not translate onto my nail. It was the same with art at school. I don’t know why I think it will have changed after all these years! So for today’s challenge I give you: Rebel Nail Wraps! I had been looking for a reason to use these since I got them months ago. But, I was saving them for a “special occasion”, that never happened. 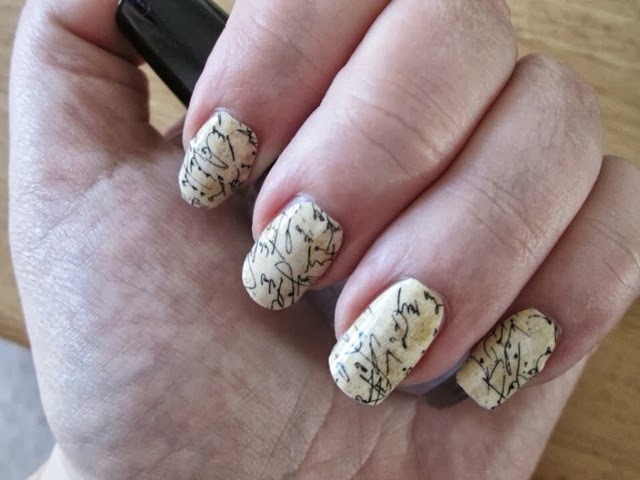 These nail wraps have writing on them, and they are printed, so I decided that they would cover “typography”. I didn’t take a photo before I used them, so here’s a picture of the packet afterwards. This was the first time I had properly tried to do wraps. I even found a hairdryer! You get 16 in the pack, two of eight sizes. Handily there is a template included which you can use to decide which size fits your nail bed without having to peel off the actual sticker. You apply these to a clean, unpolished nail (eek! ), file off the excess and apply heat (hairdryer) to “melt” the glue on to your nail. Sounds simple? Well, it was OK ish on my left hand but I struggled with my right hand. The wraps are quite thick and take a lot of filing off, and my nails suffered a bit from over eager filing. Also, I think I must have funny sized nail beds, as none of the sizes quite fitted properly. But hey, as I first attempt, I think they look good (from a distance). 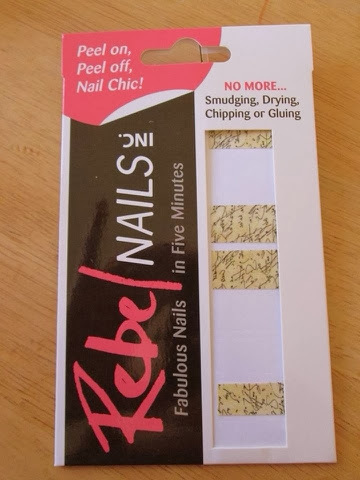 You can get Rebel Nail wraps from here: http://www.rebelnails.co.uk/ and they have a sale on at the moment. These were purchased with my own hard earned cash.